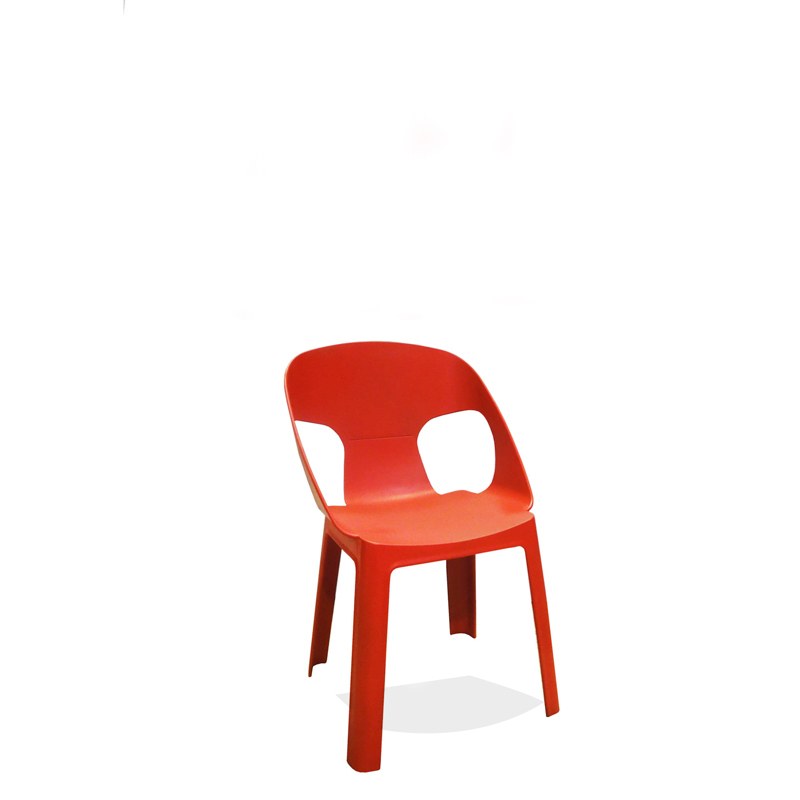 Strong and durable chair for indoor and outdoor use made by polypropylene. Stackable chair with extra UV protection. Available in 5 colours.